I saw where Don Roberdeau was referring people to an article. Altamont native prepared JFK for funeral. Now this man, Edwin Bates Stroble died in 1976 just before the HSCA got started. So, why was this article written? JFK is dead, this guy who prepared JFK for his funeral is dead, so where's the news? Well, the only reason I can think of is that someone showed someone with this news site the document, MD129, from the ARRB Medical set of documents. This is the Gawler funeral home "first call sheet," which mentions Stroble. There must be many more examples of normal, kindhearted people who were just doing their normal routine jobs when they got caught up in the assassination and its aftermath. People in Dallas, at Parkland, at Love Field, at Andrews Air Force base, are invaluable sources of information. It's been unfair to them, unfair to the American people, and unfair to history that what the government knew it tried to lock up for decades, and succeeded in doing just that with a lot of the documentation of this case. Who needed to lock away the evidence and documents for decades? Not Oswald. Our government also ordered people like Mr. Stroble not to talk about what they saw and heard. Who gave that order? It wasn't Oswald. There are people who worked at strategic communication points like Mount Weather who would have been listening, perhaps recording, and certainly facilitating air to ground communications between Air Force One and the people receiving calls from and making calls to it before it landed. These are people who know something important that we in the JFK research community don't know, something that is probably not significant to them but might be to us. People such as Mr. Stroble are also mentioned in other JFK assassination related documents. Perhaps, we should try to make connections for the media between the JFK assassination and some individuals. We don't have to peddle any theories, but I think we can get them to agree that if we knew about Mr. Stroble in 1963 the world would not have come to an end. Isn't it just silly that records such as this were kept from the American public? But, ask yourself, who needed to be kept safe for 50 years from what Mr. Stroble saw? It wasn't Oswald. There are more people like Mr. Stroeble out there and even though they may be dead and gone for decades it is still possible to discover their stories. ALTAMONT — On Nov. 22, 1963, as the nation mourned the loss of President John F. Kennedy, morticians of Joseph Gawler's Son Inc were summoned to Bethesda (MD) Naval Hospital to embalm the body and prepare it for viewing. According to one embalmer, the nature of the president's wounds required that he use "all of my knowledge and acquired skill to make him presentable." This embalmer, Edwin Bates Stroble, was a native of Altamont and one-time apprentice at Kull Funeral Home. Born May 22, 1921, to Edwin P. and Gladys G. Stroble, the younger Stroble began working for local businessman Woodrow Kull in high school before enlisting in the United States Navy. Following a stint of service that saw him fighting on Attu, he returned home. It was at this time that he began his apprenticeship under the supervision of Kull to learn the trade of embalming. In a letter to family friend Linda Frederick (nee Grobengieser) shortly after the assassination, Stroble credits Kull with teaching him "how to pose features naturally, and how to use a horse sense flair for make-up." He also referred to Kull as "one of the greatest embalmers I've ever watched." 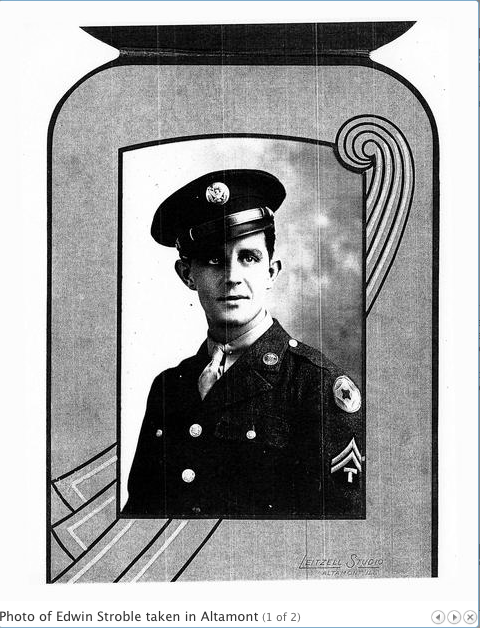 According to Stroble's sister-in-law, Ruby Stroble, he eventually decided to move to the East Coast, a place he had lived during his time in the Navy. He then began working for Joseph Gawler's Sons Inc, a prestigious Washington, D.C., funeral home, as a mortician. He did, however, make frequent trips home, visiting his family, Kull's Funeral Home and Frederick's father, Delbert Grobengieser. "He would park his sports car in the driveway and make me drool over it," recalled Frederick. Stroble was described as a "real likeable guy" by his sister-in-law and spent his time fishing and hunting. He writes that his main interest was music, in particular the works of Hoagy Carmichael. Frederick credits Stroble with getting her into Shriner's Hospital for treatment of her polio, when her family was considering sending her to Chicago. Stroble objected, stating that she would be treated like a lab rat in the northern facility. Due to the care she received at Shriner's, Frederick states that "people don't even realize that I had polio." 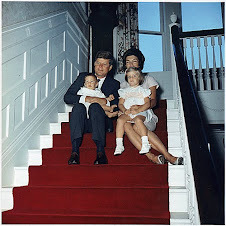 As for the cause of his minor notoriety, it was, in part, Stroble's December 1963 home visit that alerted local residents to his connection with the Kennedy funeral. Lynn Kull, son of Stroble's mentor, recalls Stroble coming into the Kull embalming room and showing him the check he received for embalming the President. After a period of disbelief by Kull, Stroble mentioned that the President had been shot at the very top of the cranium and approximately the 7th vertebrae. He also mentioned that Kennedy's face was "not that marred." 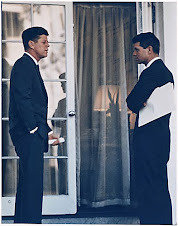 Considering the extensive work done to restore Kennedy's body, Stroble was disappointed when Jacqueline Kennedy decided that the casket would be closed for services. She and the President's brothers viewed him in the East Room of the White House, along with select staffers, before she ordered the closure. He did, however, come to believe that "as things turned out, it was a wise decision on her part." Stroble said that during this time, there was a "very high emotional response from the people of the district, and for that matter, the whole East Coast." He believed that if the casket had remained open, "it would have become mass hysteria, or worse." Stroble complimented Mrs. Kennedy for her composure, stating that "she was tremendous throughout the whole ordeal." 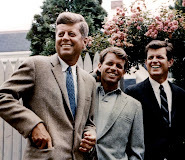 Given the historical controversy and public interest surrounding President Kennedy's assassination, natural curiosity may lead many to wonder what Stroble knew about the President's wounds and their implications. In the aforementioned letter to Frederick, Stroble writes that he was "under orders from the White House Secret Service, and the FBI not to discuss any factors relating to points of entry of bullets, nor their effects." Stroble died in May 1976 and therefore was unable to provide testimony to the United States House of Representatives Select Committee on Assassinations (HSCA), which was introduced in 1975, but not officially created until September 1976. Fellow Gawler embalmer Thomas Robinson's testimony has been cited in support of a frontal entry wound, but no documented statements by Stroble suggest his agreement. Stroble did not mention to Kull or in writings the small wound near the temple that Robinson discusses in the official HSCA transcript. Upon his passing in Maryland in 1976, Stroble's possessions were reportedly not collected by his family and subsequently discarded. 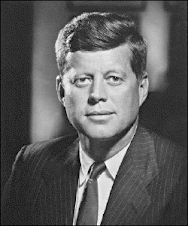 Therefore, any additional information that may have existed regarding President John F. Kennedy's death and funeral from Stroble's unique perspective has been lost. However, the existing records illustrate the importance of his small-town training and its impact on one of the most famous events in modern history.